In this posting all three of our friends are going for running to stay in shape. Enjoy. 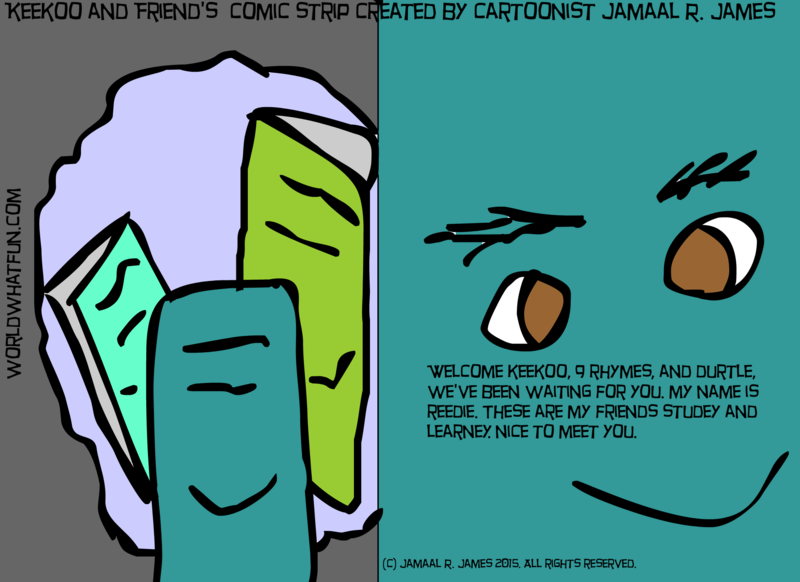 Keekoo and Friend’s Comic Strip created by Cartoonist/Illustrator Jamaal R. James for James Creative Arts And Entertainment Company. 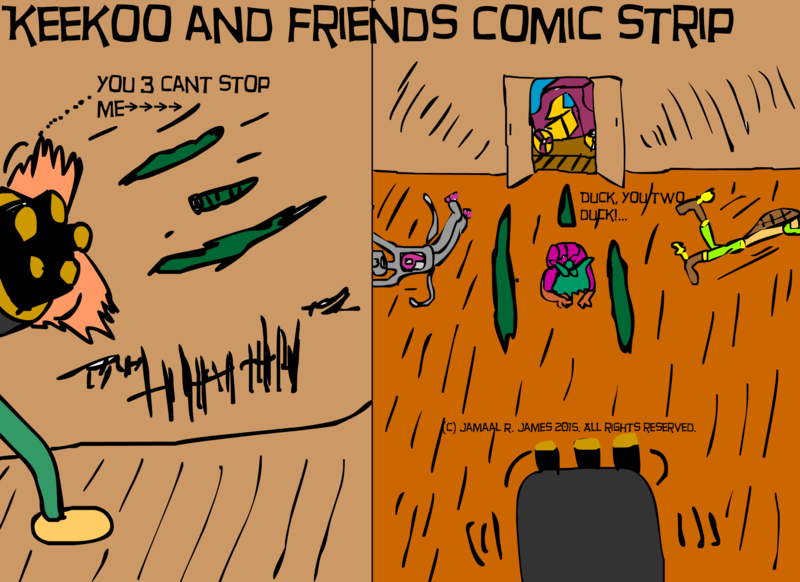 Picture book, Children’s picture book. 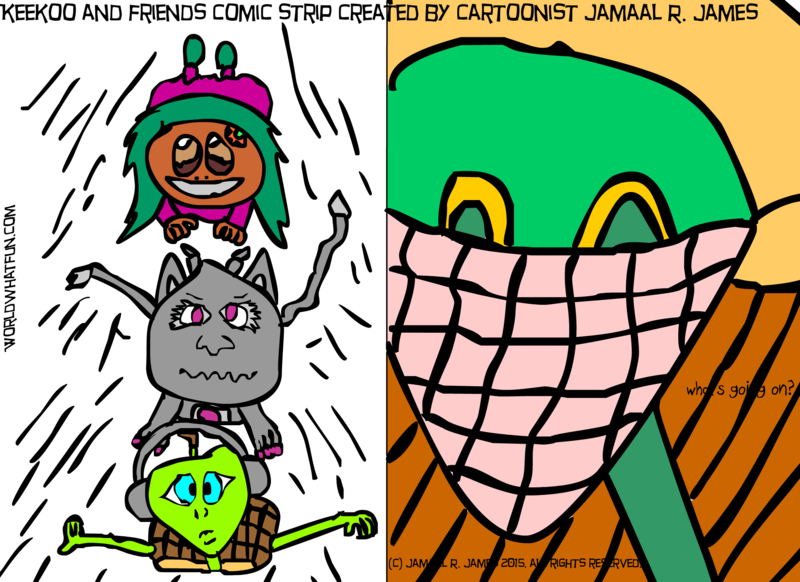 In this posting Nine Rhymes takes the initiative and takes out the robber and all three of the group put bad guy green robber o guy into the jail….yay…Nine Rhymes, now celebrate, celebrate. In this posting the bank robber has fired weapons at Keekoo and Durtle and Nine Rhymes. 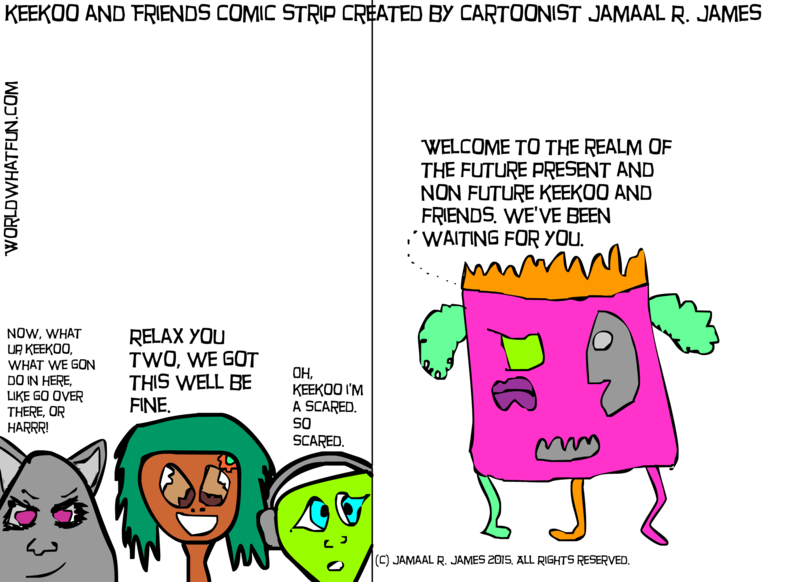 I hope they have a plan because it doesn’t look too good. Good luck guys. 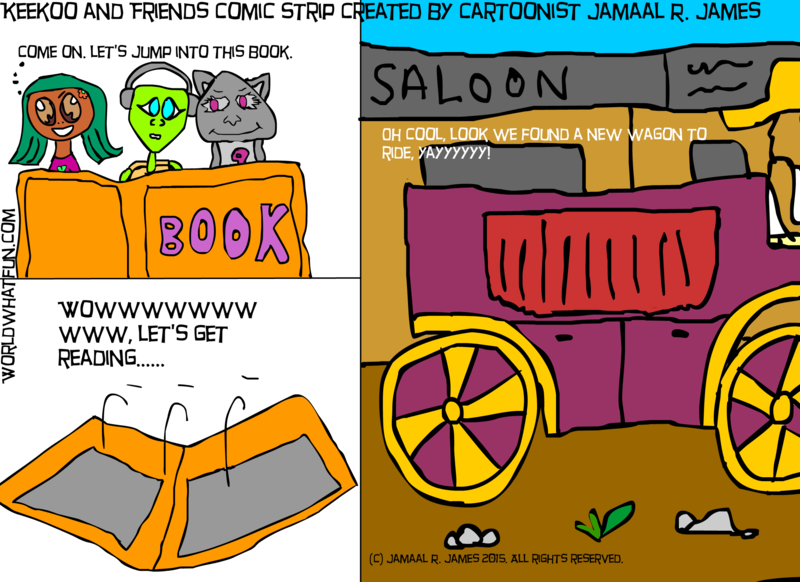 In this posting the three friends jump out of the wagon to see what’s going inside of the bank with the robbery. It looks like they traveled to the former ghost town of calico. It sure looks active now. So our friends have talked to one book and now are jumping into another book. Let’s see where the trio ends up. Enjoy. 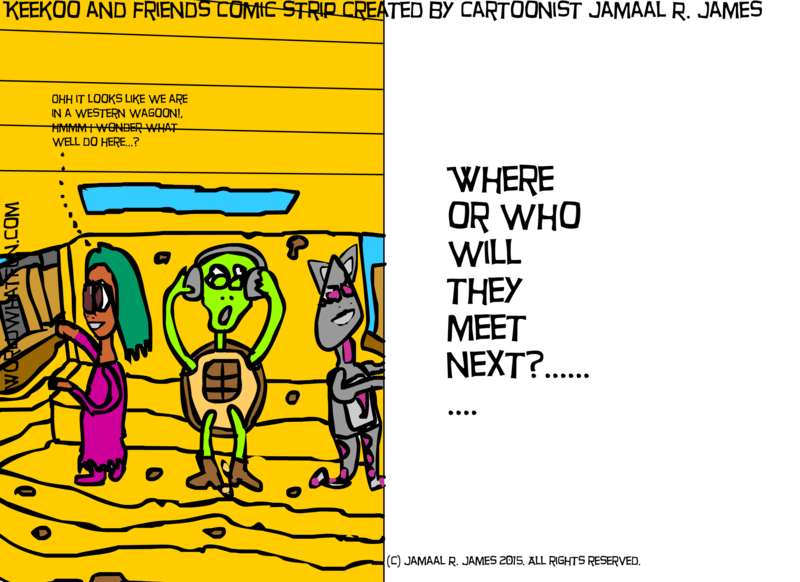 As Keekoo, Durtle, and 9 Rhymes make it to the other side of the time travel tunnel they find some talking books. Oh if books could talk, what they would tell and the grand adventures they hold. Enjoy. 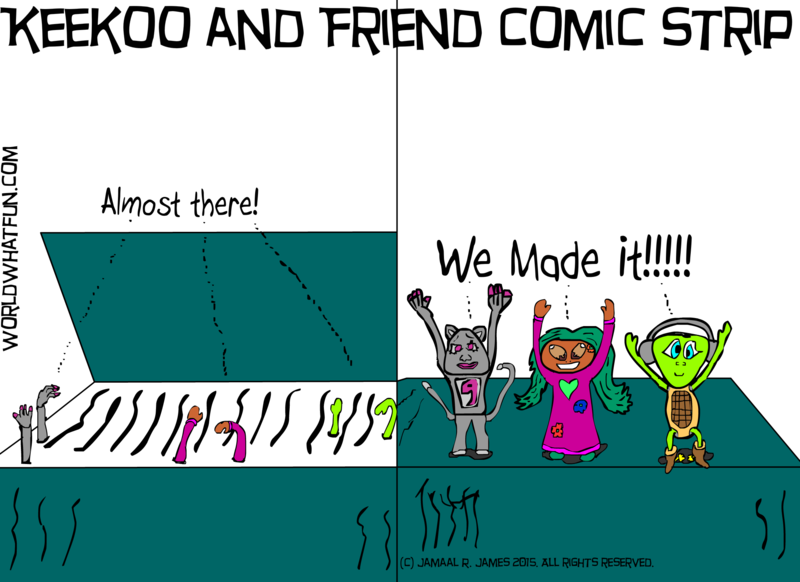 In this posting of Keekoo and Friends the gang finds there way into another dimension thru the time warp and…..I guess will have to see what happens on the other side.